NLUJAA Guwahati today selected Nalsar Hyderabad registrar Prof Vijender Kumar as its new vice chancellor, after over five months of functioning without a vice chancellor (VC) and on the eve of a deadline conceded to hungerstriking students to fix the college’s administration. 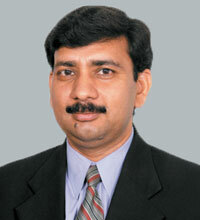 The former UK Commonwealth fellow, MDU Rohtak PhD holder and Kurukshetra University LLM holder Kumar, who is currently a professor of law and head of the centre for family law at Nalsar, was selected from a shortlist on which the other incumbents were Gulbarga University law Prof JS Patil and Banaras Hindu University law professor Prof DP Verma. Kumar could not be reached for comment at the time of going to press but a source close to the process confirmed to Legally India that Kumar had received a verbal intimation of his selection today and would receive the official order by tomorrow. Last month 230 NLUJAA students had gone on a hunger strike protesting the lack of a VC at the law school and jobs, among other deficiencies. The strike was suspended 27 September after teachers’ assurances to hold a general body meeting by today to cure some of the students’ complaints. One student told Legally India that students would resume the hunger strike tomorrow if their demands were not met. ITS FINALLY HAPPENING!AFTER 16 YEARS HE IS FINALLY LEAVING. Inform the poor things at NLU-Assam about what we've unleashed at them. The couple of times I've visited NALSAR, I'd met him once and overheard saying something remarkably similar to that! Brings back questionably fond memories, it does! And that, dear children, is how Nalsar ceased to be the Haryana Law College. I have no doubt he will. I think he should (and will) start by putting an end to those silly students' protests in NLU-Assam. Sounds like some defector and imposter from within mother Nluja. Now Gold help us from Dhanda and Fuzzie. The only sane man now leaves. We will miss Fam Law, Sir! Actually, gold. Something which you never achieved brother. When Dhanda will sit on your head your will understand. VK might have done some wrong. He isn't a bad administrator. That's what they also say about our venerable Narendra Modiji! [Borat style]: "This is the greatest day of my life!" Ah! NALSAR's changing. One cannot possible imagine the place without VK. Phemily Law will miss you! Hehe! Those NLU-Assam kids have NO idea what is coming their way. On another note-VK was one of the last Titans left. Nalsar will feel empty without him. You talk like only an alumni would. Waiting for you to come be my junior once your pass out. Tick Tock. Tick Tock. The white i10 shall no more ply over me. Miss you, VK. You did 'love driving'. Through thick and thin this man has stuck by NALSAR. NALSAR clearly loses someone very dear to it. One might have opposing views about him but even detractors have to accept that he was a tall figure in NALSAR. Hail Fam Law! Hail VK! Hail Registrar! We shall miss you, Sir. 'Thick and thin' being a vague allegory for the varnish on the cane furniture? The cane furniture will surely lose someone dear. Heartiest Congratulations to you, Sir. The way you have gotten to where you are right now, you have worked a lot. I am truly fortunate to have been your student, and will always be. You are a source of great inspiration for me. "streamlined' the otherwise paralyzed administration" ?!! @!#! @##@ !! NALSAR really loses a great administrator, one who has been with NALSAR all through out. It won't be an exaggeration to say that Prof. Ranbir Singh and VK have made NALSAR what it is today! Sir, hope to see you back in NALSAR, soon! "It won't be an exaggeration to say that Prof. Ranbir Singh and VK have made NALSAR what it is today!" You know what, mate, I agree. Now I know exactly what was still inspiring about this place, what with all the silly reforms and open spaces and over-friendly faculty after Veer Singh Sir left. [SARCASM(because I know you'll need it)]. Lateral hirings are on a boom these days. NALSAR should make the 'versatile' Bala its registrar now. Whatever one might say about him, he is well versed in his subject and i am sure he shall efficiently manage NLU Assam. He was always there to help students when needed and is definitely one of the key person for what NALSAR is today.! A person who has dedicated his entire life to the study and development of his name is family law in India man. Of course he has played a key role in everything that NALSAR's students have ever achieved. HAHAHA BRING IT ON !!!! "bring it on"!!! Poor souls, you have no clue what is about to hit your lil strike. The rule of the iron fist begins for you today. Sir, you will be missed. Nalsar certainly owes you a lot. LOL!! Hilarious comments guys! Especially comments 2 and 3. Keep it up! I am coming to NLU Assam too, VK! A petition should be filed challenging this appointment, as various adverse observations were made in the committee that probes irregularities at NALSAR. Why has LI not mentioned this? Kian, I like the title, especially the bracketed words "alongside looming hunger strike deadline". This means, the first task for VC VK is to console those poor souls and then only his work can be measured on the scale of performance or non performance. The worst case scenario might be that the students again start their hunger strike; VK will be at sea then. Then I believe Kian will report, "NLUJAA Students again start hunger strike : New VC Helpless". It will be interesting to see if VK changes the game and if yes, then how? More than commenting on what VK did in his stint as NALSAR Registrar, we are curious as to what he will do there in Assam and whether he will be able to bring any change. I have read the petition of the students and the concerns are grave. It is a call on VK to prove his abilities. Oh wow..! Missed this.. VK maybe a poor at teaching, but is an expert at student politics. Divide and rule as always.